Only showing entries about vacation from Darren and Terri's Travels. 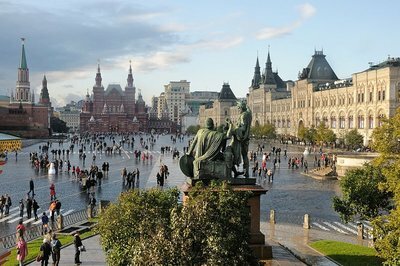 View entries about vacation from all Travellerspoint blogs. There comes a time when it gets real, that time has now arrived. There is a knot in the stomach, palms are sweaty, it is hard to concentrate and wonderment surrounds. That is the experience that surrounds the moment of no return, that moment when dreams become reality, when there can be no turning back. That is the moment when you actually purchase your airline tickets for the journey. 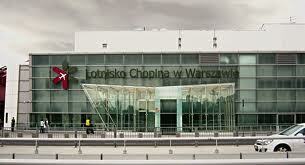 Deciding to fly into Warsaw, Poland may have been the easiest part of the decision. What proved to be much more difficult was determining when and where to buy the tickets for our trip. You may wonder why Poland was an easy decision? When we first started discussing a trip to Eastern Europe (Yes, I know it is actually Central Europe, but as an 80's youth, when communism and the cold-war still existed, it was Eastern Europe to millions of Americans, myself included), we looked at tickets to Hungry, Croatia, Czech Republic, and some of the larger Western European countries. The average RT flight from Los Angeles (LAX), California, to the destination cities that I looked at were $1,500USD for airfare in June 2014. However, as we continued looking at the map we decided to check Poland for flights, sure enough $987USD. Once we discovered the difference in prices, the decision was made. We will fly into Poland and travel via train from there. The whole process seems easy enough, where does the previously mentioned angst come from you ask? Let me tell you, curses on that little "roaming gnome," I mean really does anybody know what he does for Travelocity? Or Hotwire, Kayak, WebJet, Orbitz, Expedia, Priceline, these companies quickly became a thorn in my side. All of the companies have handy fare alerts that will tell you when the prices are going up or down, and it is as bad as watching the stock market rise and fall hourly. Really, how often can the airfare rise and fall during a single day? And Orbitz, well, they have all these great fares, but a "this fare is no longer available comes up on all of their lowest flights," what's that all about? Information abounds about where to get you tickets and when to buy them. We researched and continued to watch the numbers rise, rise some more, and fall a bit. Again, they fluctuate, day-in and day-out. Eventually, you have to take that step and we did. Finding a $1000USD fare among the prices of several others that had now risen to $1100+, it was time to jump. Yes, I hit that purchase now button and won't be looking back. 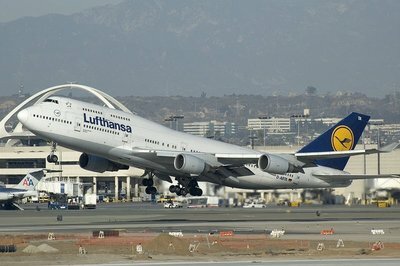 We will be traveling on Lufthansa from LAX to WAW. That's right it is now official Eastern Europe 2014 is no longer a dream but a reality for Terri and I! The stress of choosing a flight is gone, now it is time to plan some activities! Research, Research, Research -- What is important to you? The research for our trip has begun, as well as the first reservations on where to stay and how we are going to travel. We always begin with a bang and try to have our trips paid off before we go with only the daily activities needing to be paid for upon arrival. The internet has become a travelers best friend and I love the hours of research that become part of my travels. Living in San Diego, we have decided to fly Los Angeles to Warsaw, Poland as the air travel will be under $1000USD per person as opposed to $1200-1400USD flying into Hungary or Croatia. 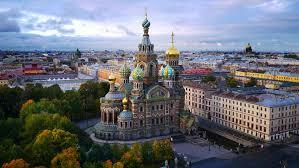 As a result of the addition of Poland to our trip, we have decided on 21days for this excursion. Look to our last post to see more and also below. You can follow along with the planning and trip, and many holidays leading up to this event on YouTube at http://www.youtube.com/MrDarrenesl/ where I will post videos of what is going on and the thought process leading up to the trip. For now, as always, we look forward to your thoughts and ideas on how to make this trip a success! Transportation and Accommodations that make sense. When it comes to booking accommodations there are a few factors we always like to consider when making our choices. To make it easier I utilize a couple of online tools, first off the industry standard, Trip Advisor, the other online reservation system I use for information is hotels.com. By doing the research, we try to find accommodations that suit our needs the best. One other important place I check is bedbugregistry.com to make sure that the rooms are going to be free of critters. We'll provide more details as we continue planning in the meantime, feel free to comment or share places of interest. Looking forward to hearing from all.